Surf’s Up in Lino Land! Lino Martins, the Lord of Lugnuts and Master of Motor Vehicles, strikes again. 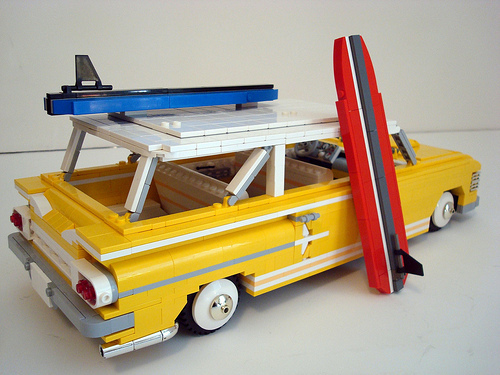 Dubbed “Solar Flare”, his 1960 Impala station wagon is ready for a day of surfin’ and a night of cruisin’. That wagon is HOT! What a fun render, bravo! Lino’s car makes me want to learn how to surf.